For this afternoon’s giveaway, we have a pair of prizes from the crew over at Thermaltake. The case, cooling, and peripheral manufacturer has sent over both their View 31 Tempered Glass case and their Smart Pro RGB 850W Bronze PSU. Whether you need a case for a new PC build, or a more powerful PSU for a system upgrade, this afternoon’s prizes should have you covered. 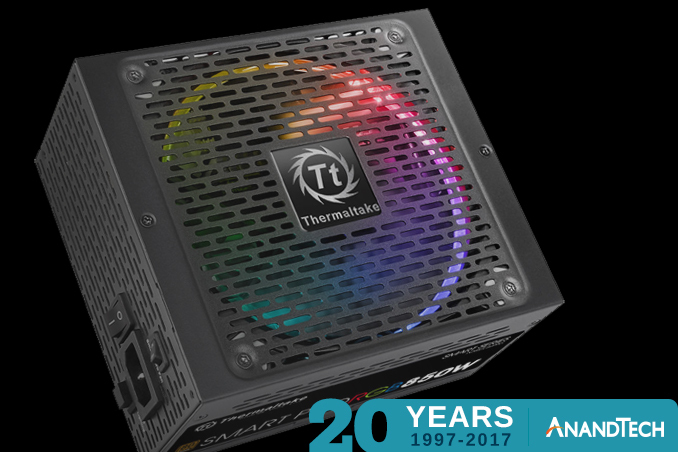 Our literally big prize of the day, Thermaltake’s View 31 case is an interesting deviation from the usual mid-tower case. 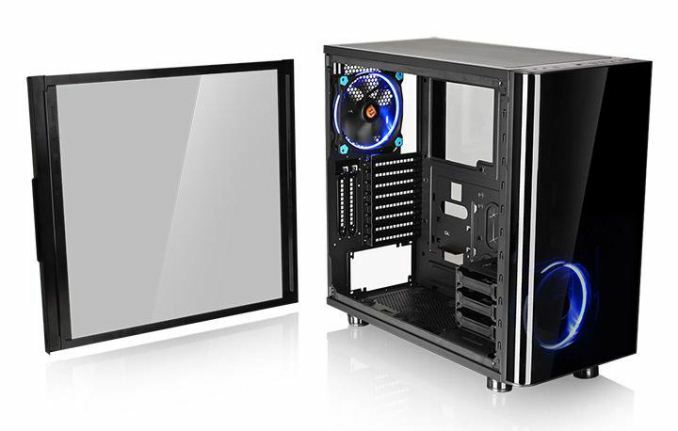 The marquee feature for the case is its tempered glass windowed side panels, which the company touts for its large size and the improved durability of glass over traditional plastic windows. The case also forgoes any 5.25” bays, making full room for its fully modular internal bays and plenty of cooling options. 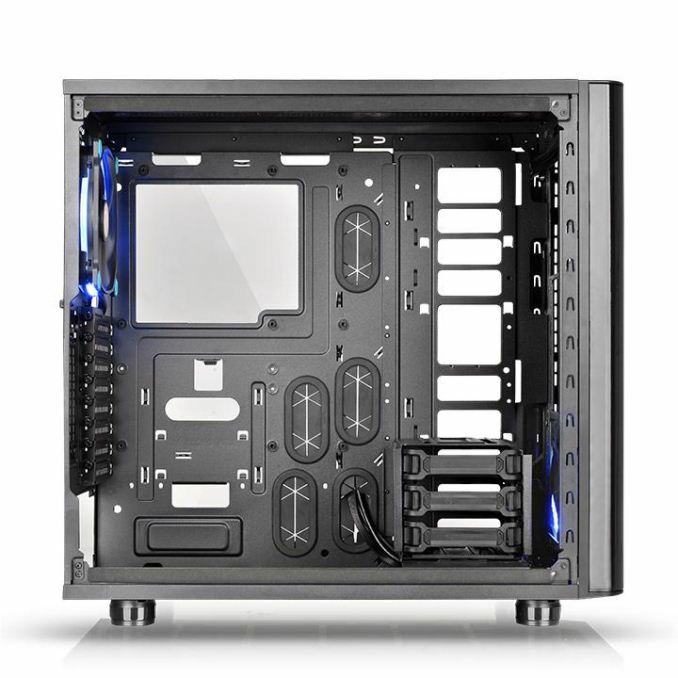 The case comes with a pair of 140mm Riing fans with blue LED lighting pre-installed, with one fan for intake and a second fan for exhaust, with plenty of room left over for additional fans and radiators. Meanwhile the extra-wide case also sports an unusual feature: a space for vertically mounting a video card to keep the weight off of the motherboard. 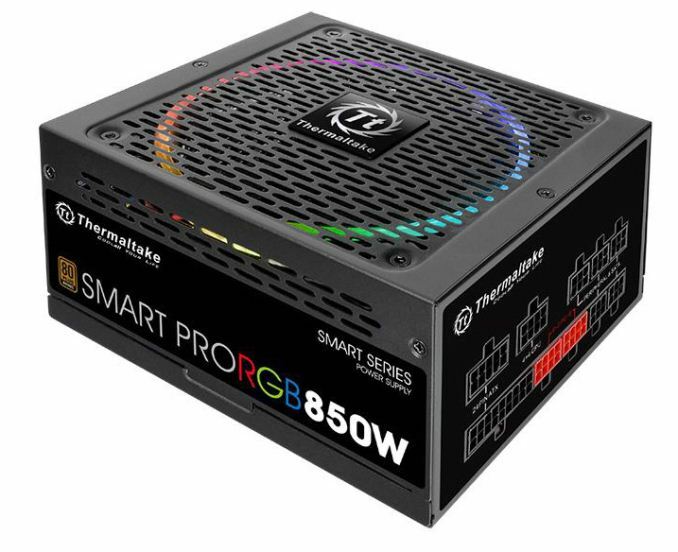 Our second prize of the afternoon is Thermaltake’s 850W Smart Pro RGB PSU. This is a fully modular PSU – ATX cable and all – with up to 4 PCIe 8 pin power connectors. On the power delivery side, the Smart Pro is rated for 80Plus Bronze, while delivering up to 70.5A (846W) on the 12v rail. Living up to its “RGB” name, the PSU’s 140mm fan features 256-color RGB lighting, and as an added kicker can shut off entirely in low load/temperature conditions for silent running.